A Sunday! 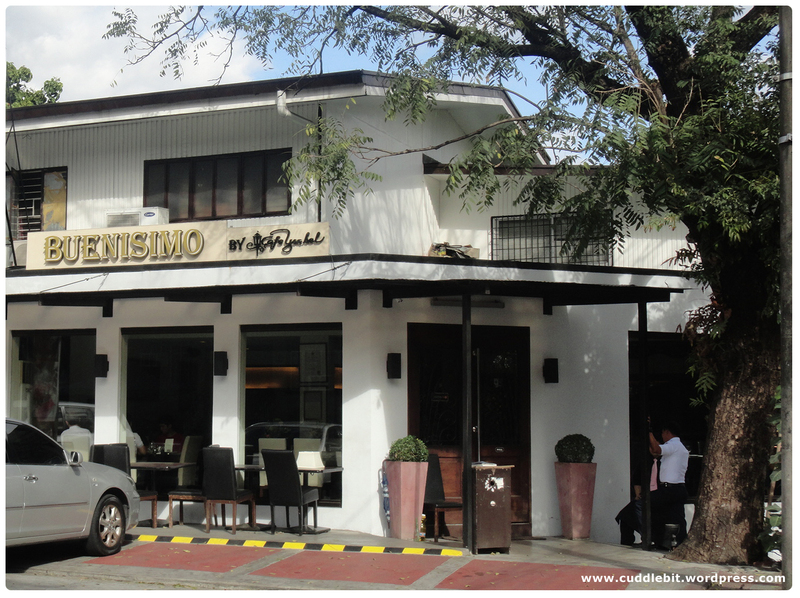 Right after church and fellowship, Kei brought me to Buenisimo for a late lunch. Kei really planned for this! I was ecstatic! We had the whole place to ourselves! We arrived at around 2pm. Really late for lunch and too early for merienda. But its ok since the wait staff’s only focus was us. Nice! The staff are really helpful and friendly too! One of the wait staff even volunteered to take a photo of us. 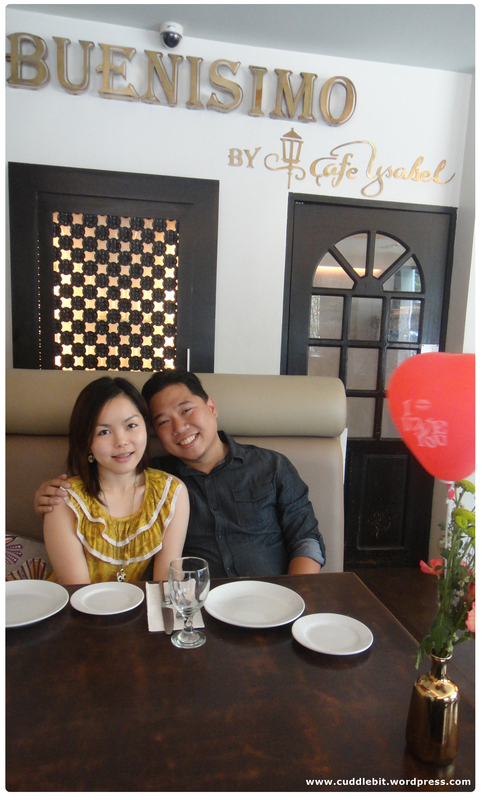 While waiting for the food, we sort of looked around their restaurant. 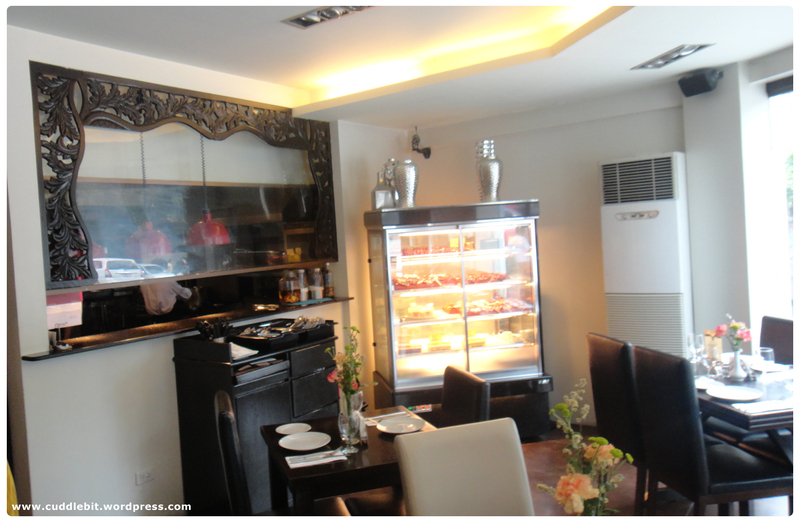 we did not get to explore much… because the food is ready! That was fast! 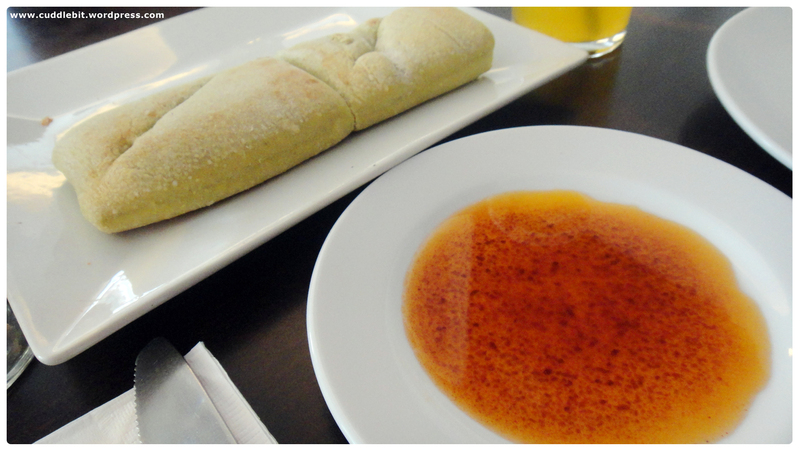 We are given complimentary bread with balsamic vinaigrette . 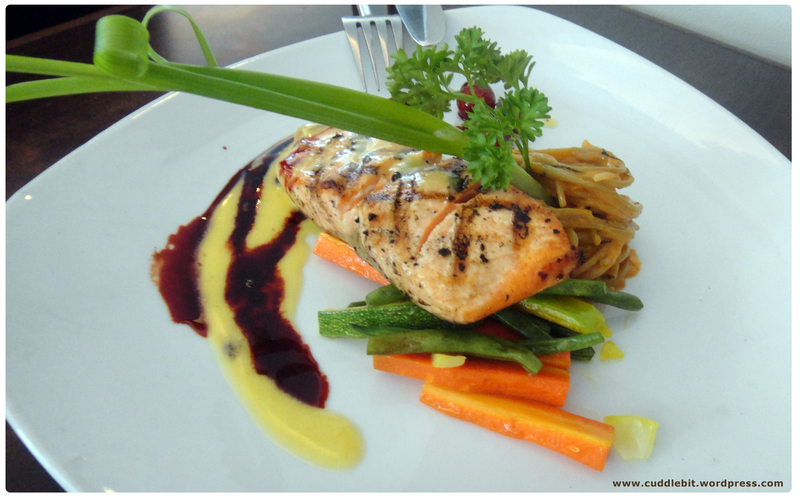 Beautiful presentation! 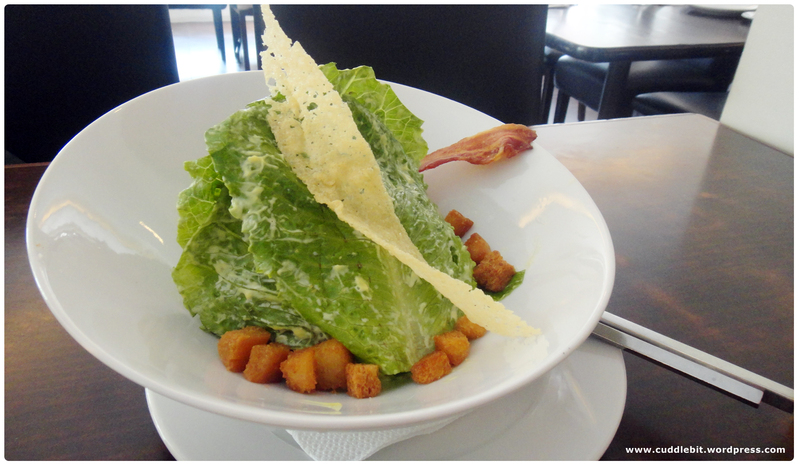 I was encouraged to eat veggies… even if I don’t really like veggies. 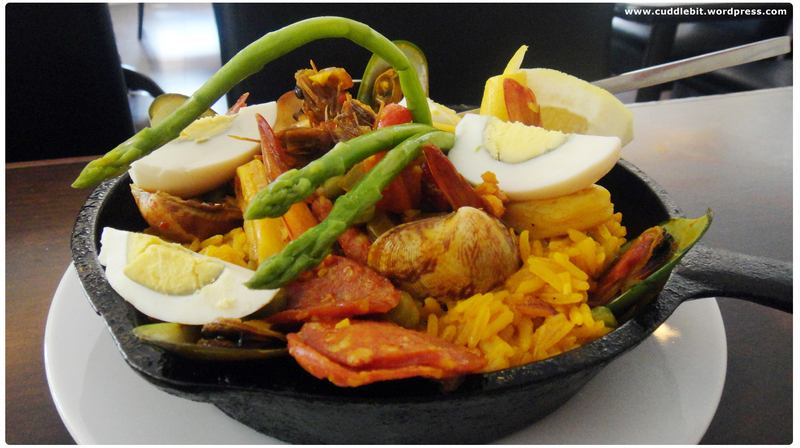 And our all time favorite paella! Washed everything down with fresh dalandan juice. And done. Thank you buenisimo! 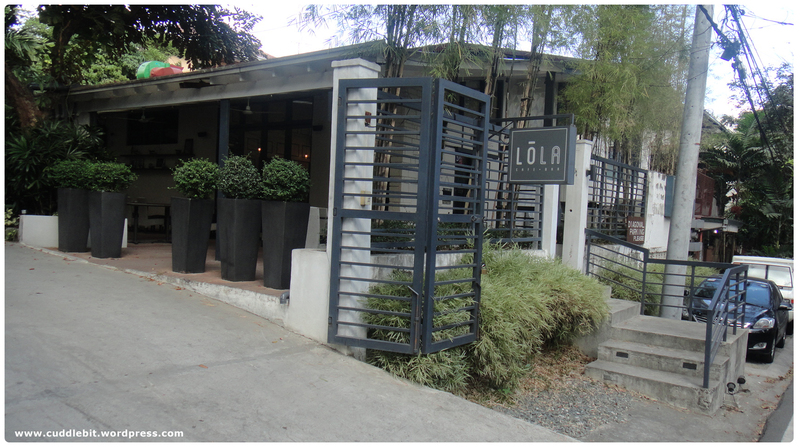 We then headed out to the neighboring restaurant lola, to get desserts. Yes, that is right. Lola same as the filipino/tagalog word for Grandma. 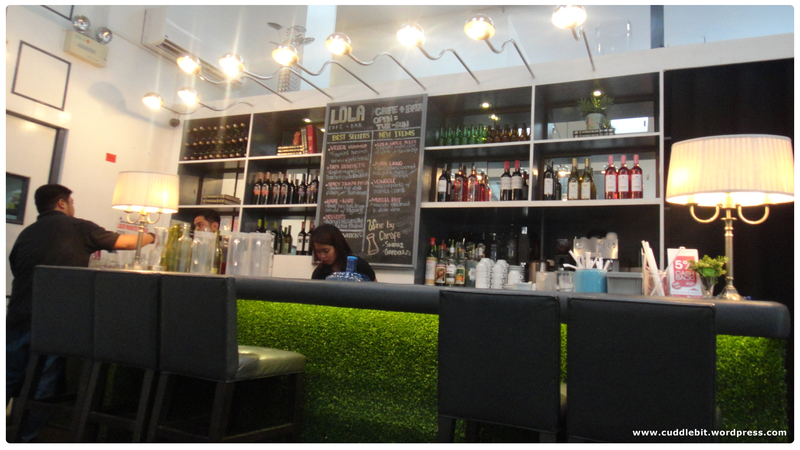 Lola is actually a cafe and bar. The whole place is modern, and cozy. reminds me of all the stuff I see in pinterest! And back to dessert. 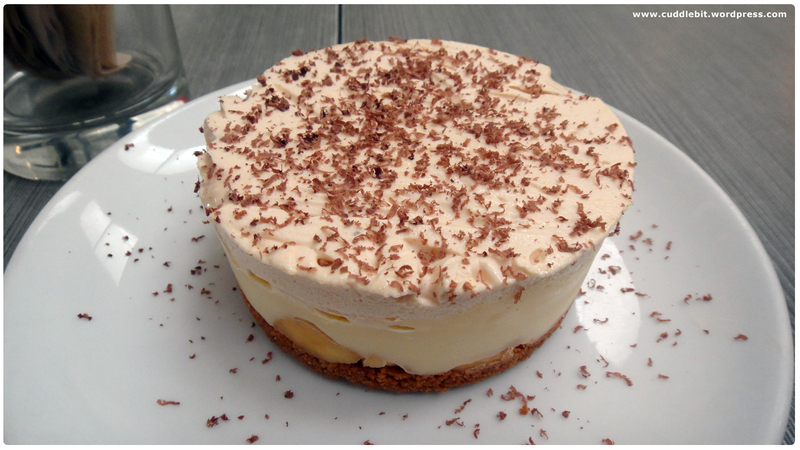 We had a banoffee pie to share. We ended up finishing it in less than 10 mins. hahahaha! loved that it was not too sweet, perfect! While on the topic of Valentine’s day. 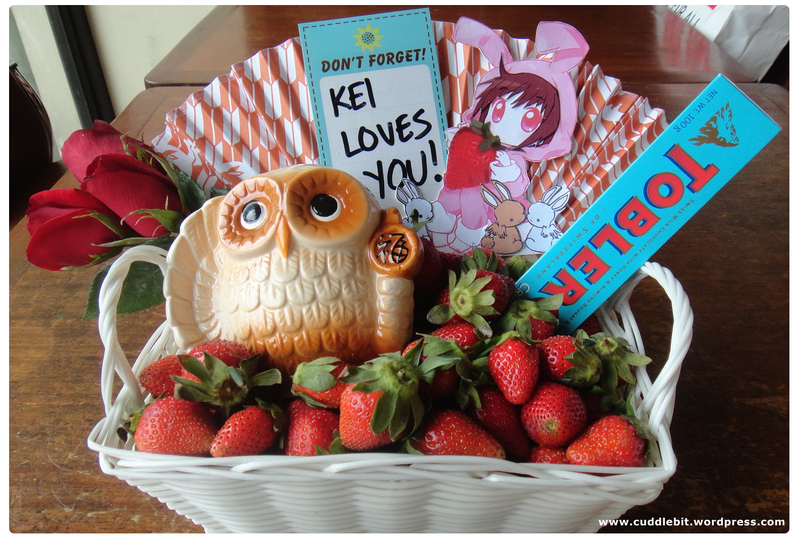 I would also like to share what Kei gave me as valentine gift this year. Which is unique as well as practical. Everything on the basket are stuff I like! Strawberries are my favorite fruit. I sort of collect owls, a anime drawing of me and my lovely pet rabbits, a magnet reminder for forgetful me, a fan, chocolate and three red roses. The best thing about it,he didn’t have to go to Dangwa (flower capital of manila) and jostle with the crowd for overpriced flowers that would wilt. No overspending for us! yey! *He said the whole gift costs exactly 1000 php. Awesome and creative! For those interested in the restaurants, here are the details. *All my reviews, opinions, and other stuff expressed here are my own and based on my own experience. (I am not a food expert or critic.) This is not a sponsored post, Kei paid for this (from) his own pocket. Categories: food, life, relationship, reviews, Uncategorized | Tags: banoffee pie, buenisimo, buenisimo by cafe isabel, bunnies, chocolate, date, fan, lola cafe bar, owls, paella, salad, salmon, strawberry, valentine, valentine date, valentine gift, valentine's day | Permalink.